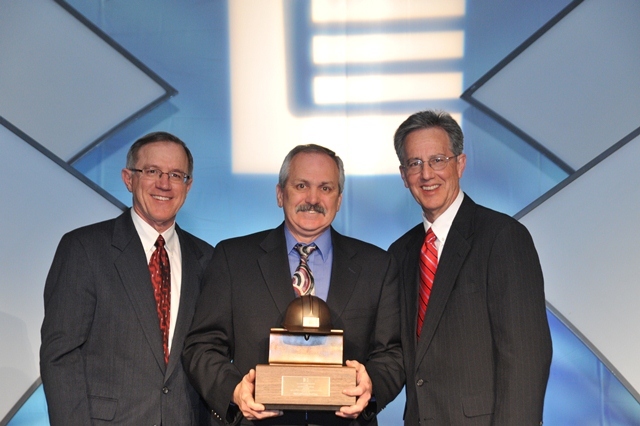 Hutton Construction recieved two awards at the Ceco Building Systems’ National Sales Meeting in Las Vegas, NV. Hutton was recognized for achieving $5 million in cumulative sales and $500,000 in annual sales. Brett Budd of Hutton Construction accepted the awards from Ceco Vice President of Sales, Lynn Chesnut and Ceco President, Roger Burlingame. manufactured to meet specific space and function requirements.